Bajaj Auto, India's second biggest two-wheeler manufacturer, will continue to pursue its broad plans with the Austrian bike manufacturer KTM Power Sports AG, including a gradual increase of its stake in the performance bike making company. Bajaj intends to be seen as a serious investor in KTM, with the commencement of launches of low-capacity but high performance bikes next year. CROSS Industries AG, the promoters of KTM, had clarified in February that it did not intend to become a minority shareholder in the company and would continue to hold more than 50 per cent of the shares in KTM. Bajaj Auto, which holds close to 36 per cent in KTM, hasn't, however, given up on its ambition of having a larger equity participation in KTM in the long run. CROSS Industries currently holds 50.77 per cent in KTM. Bajaj Auto recently hiked its stake in KTM after it bought additional shares through the rights issue floated by the Austrian company for raising capital. The Pune-based company spent ¤20 million (Rs 120 crore) against the issue to raise its stake to 35.67 per cent from 31.92 per cent. It has spent nearly Rs 1,000 crore since November 2007 on hiking its stake from a mere 14.5 per cent initially. KTM, meanwhile, had raised ¤42.99 million (Rs 280 crore) through the issue, which it intends to spend on product development and plants. The issue done by the European company was also aimed at solidifying the position of its promoters, ensuring its stake remains more than 50 per cent to ward off any hostile buy-out attempts. Bajaj had talked of an understanding with the promoters of KTM that the Indian company would scale up its stake to a possible 50 per cent over the next five years. The tie-up with KTM fits in with Bajaj's ambition of going for larger and sportier bikes, desired for the international market. Rajiv Bajaj is also a member of KTM's four-member supervisory board. Both companies have been actively involved in the creation of high-performance motorcycles since the past couple of years but which are developed on a far better cost structure, thanks to the back-end price support of Bajaj Auto. Starting this year, KTM will start the distribution of new 125cc models in Europe, which it has developed along with Bajaj Auto. Bajaj will then launch the same in India by the middle of next calendar year, before finally distributing these in markets such as Sri Lanka, Bangladesh, Indonesia and Africa. 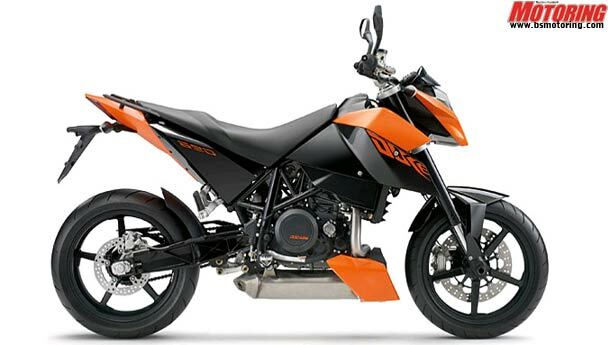 “KTM will bring in the high technology it is known for, while Bajaj continues to provide the cost advantage. Through this combination of technology and high price, we want to start realising the high margins expected from the products produced between the two companies,” added Bajaj.